The thirty-seven newly promoted officers of the Nigerian Police Force, Port Police Command has been charged to rededicate themselves to their duty and make hard work their watchword. The call was contained in a statement made by the Commissioner of Police in charge of Western Ports, Kayode Aderanti, last Friday after decorating the officers with their new ranks at the Nigerian Ports Authority (NPA) headquarters in Lagos. According to him, “I will urge you to be dedicated to the service of this country, to be loyal, steadfast and hardworking and with good records more promotion will come your way. In this command, what we expected of you is to go back to your duty posts and work very hard. We know you have been working hard but you have to rededicate yourself and work harder. It is our wish that good luck will be with you”. The Police boss congratulated the newly promoted officers and stated that their rights and privileges of being promoted have been met by the police high command. “Depending on how we look at it, some will see promotion as a right while others see it as a privilege but depending on how we look at it, it is both right and privilege. You may have the right to be promoted and at the same time don’t deserve it so your right and privileges to be promoted has been met. 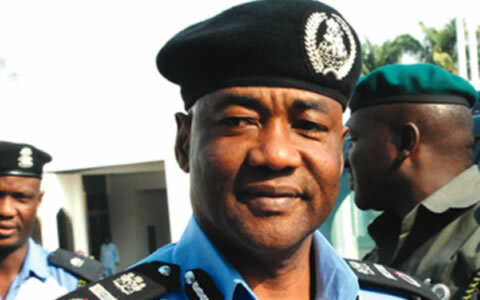 Aderanti was full of praises for the Inspector General of Police, Alhaji Mohammed Abubakar, for recommending the promotion of the officers to the Police Service Commission. “I thank the IG and the PSC for this promotion, but more praise goes to the IG because without his recommendation, the PSC will not promote the officers so I say a very big thank you to him. “When I saw the signal it was so bulky that I have not seen such a thing that large number of deserving officers will have this kind of promotion at the same time and in spite of the security challenges in the country,” he said. Four Officers were promoted from the rank of Deputy Superintendent Police to Superintendent of Police, two from Assistant Superintendent to Deputy Superintendent and thirty-three from Inspector to Assistant Superintendent.